Any Windows user knows the importance of properly securing the desktop or laptop from virus attacks and other malicious threats. Antivirus software is the most important application tool when it comes to security. It is designed to identify, obstruct and eliminate computer viruses or any other malware that might compromise your computer security. There are many popular Antivirus applications that you can purchase by paying some amount, which include Norton, McAfee, Trend Micro, Kaspersky etc. But if you do not like it when it comes to buying a software and you are against piracy as well, you may end up in a fix. Do not worry. 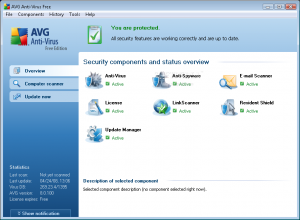 Here are the Best 3 Free Antivirus Applications that come to your rescue. Make sure your Windows is armed with one of these must-have tools. 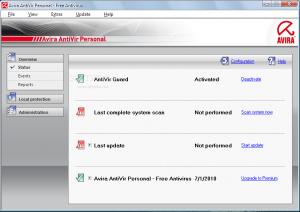 AviraAntiVir Personal Free Antivirus is simple to use and works great. It is a good choice for both beginners and expert users. It doesn’t install all the extras that big suites have which you don’t need, hence it is very light on the system. It always features in the top of antivirus ranking sites and thus it is extremely reliable. One can scan all hard drives, choose a preloaded scan for rootkits, schedule a scan or customize a scan. It also provides virus protection against known and unknown threats, using an advanced heuristic system. 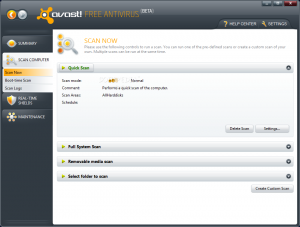 Combining the anti-malware with the regular antivirus is a luxury for a free scanner. When someone talks about Free Antivirus, AVG is surely one of the first things to strike.This antivirus program offers rock-solid protection with all the necessities, including a tool for scanning your hard drive and e-mail, as well as a real-time shield to prevent infections. You can use the scheduling tool to scan your computer on a routine. If a virus creates some serious system problem, AVG creates a rescue disk that scans your computer when it runs in MS-DOS mode. The program doesn’t burden most systems when scanning or when running in the background and is quite effective. The interface is friendly and is mostly simple to navigate. Rapid virus database updates for the lifetime of the product provides a high level of detection capability that makes it very trustable. Another good thing is that this version of AVG Free Antivirus runs well on Windows 7 and Vista. Avast Antivirus Home Edition seems to be there since ever. It had maintained the same interface for a long time until recently and has been on the circuit for a long time. This impressive software provides the same robust protection of well-known antivirus programs, but for free. The highlight lies in its multiple shields that scan executable files and also the amount of customizability it offers.With immediate real-time protection, clockwork updates, and much more, this free software is highly regarded. The old interface was a bit unique, as they had tried to make it look like a mp3 player which failed to impress. The all new interface looks cooler and is definitely a good update to its predecessors. Also the alarm sound that it plays on spotting a virus can get very annoying at times. It doesn’t have a scheduler which can be a drawback for many. Despite all these, it indeed is a good free alternative to protect your system. 3 Best Free Antivirus Softwares – TechnoSamrat – Apple iPhone … | Images and all! !